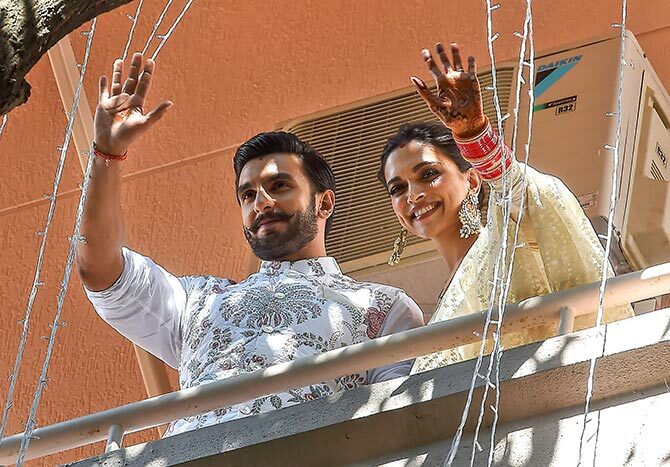 Rediff.com » Movies » PIX: Ranveer reaches Deepika's home! 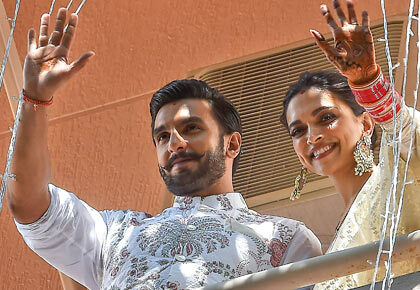 Deepika Padukone and Ranveer Singh will celebrate their wedding with a reception in Bengaluru on November 21. The newly-weds left for for Bengaluru this morning from Chhatrapati Shivaji International Airport, Mumbai. 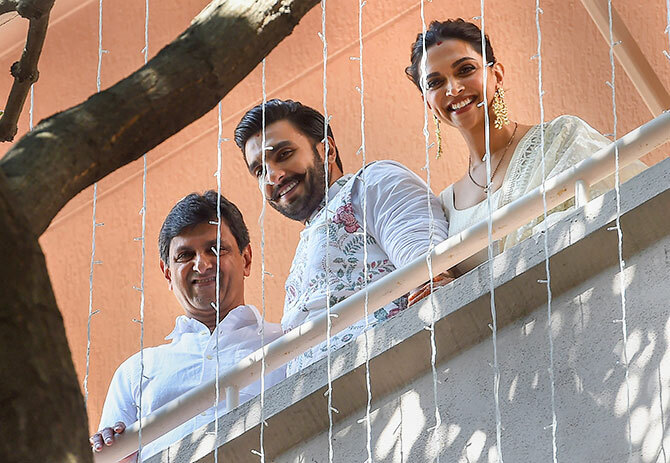 Later in the day, they were spotted on the balcony of the Padukone home in Bengaluru. 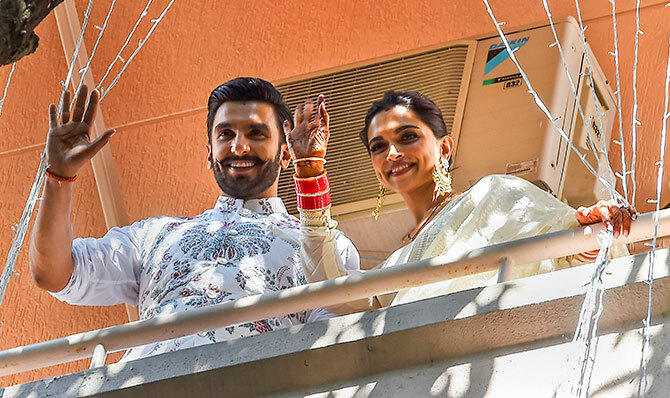 Deepika and Ranveer, papa Prakash and mama Ujwala were spotted waving to the waiting media.